First responders are often at the scene of stressful or traumatic events that can have an immediate, cumulative, and lasting impact on their mental health. Organizations need to determine whether they are prepared to assist workers who are dealing with occupational injuries that stem from their exposure these events. 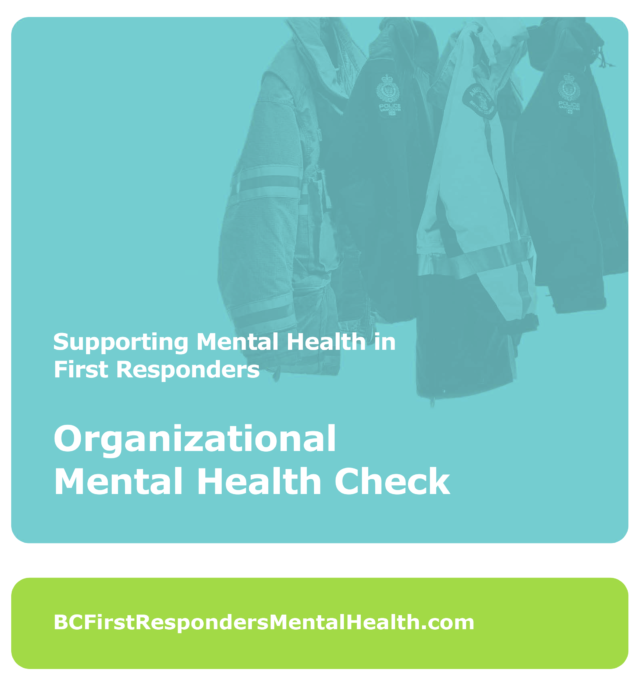 Following is a list of resources and tools that can be used to assess the psychological health and safety of your organization and of first responders in your workplace. In some instances, the tools also include elements aimed at restoring restore positive mental health.